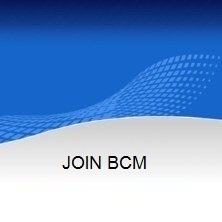 Membership of BCM is opened for all businesses. BCM proudly represent different businesses with a membership of over 8,500 Macedonian businesses; growing domestic companies, multinational, SME in all sectors of the economy. As a member of BCM, your company can benefit from vital business services, including our services for the development of human resources, business advice, expert advice and business events across the country but also networking on international level in terms of development of business. From the membership all your staff could benefit, not just one individual. Advocacy: Lobbying activity in the industry, regional, national and international level. Impact: The opportunity to join the working groups and have direct input into policy recommendations for a wide range of business issues. Knowledge: a unique insight into market trends and detailed sectoral analysis. Regional Support: Practical business support from our regional offices including local events and networking opportunities. Networking events: access to more than 20 events nationwide that offer great opportunities for networking and achieving the national and international business contacts in all sectors. HR services: Expert support employee relations, industrial relations and human resources policies and procedures. Online Human Resources: Exclusive access to vocational content of the Labour Law, explained and easily understood terms with practical guides.